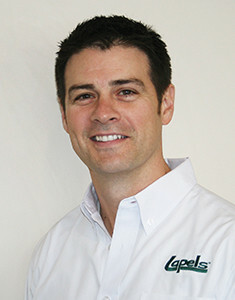 Lapels Dry Cleaning, an innovative, environmentally friendly dry cleaning company headquartered in Hanover, Massachusetts, recently announced the formation of a corporate/ hospitality division. The new division was formed to better serve hotels, restaurants and corporate accounts that require and/or offer dry cleaning services for guests and staff. Lapels Dry Cleaning’s new division equips each Lapels Dry Cleaning plant to serve restaurants, hotels and other guest-oriented businesses with its full range of dry cleaning offerings. This will include same-day and 24-hour dry cleaning, tailoring, etc. Lapels has pioneered an eco-friendly dry cleaning experience over the past dozen years. Part of that effort includes a partnership agreement with GreenEarth®, the dry cleaning industry’s only non-toxic cleaning alternative. Lapels Dry Cleaning’s newer locations use GreenEarth® solutions. Using these kinds of solutions and the latest technology in equipment, Lapels is one of the few dry cleaners able to boast that there is no hazardous waste in their process. For complete information on Lapels Dry Cleaning’s corporate services, please visit www.mylapels.com to find a store near your business. Each Lapels Dry Cleaning store offers a full slate of services, including: same-day dry cleaning; shirt service; tailoring; shoe repair; wedding gown preservation; suede and leather processing; box storage and fur storage. Lapels Dry Cleaning has stores in Arizona (Gilbert, Chandler, Phoenix, Scottsdale), Colorado (Littleton), Connecticut (Cromwell), Florida (Fleming Island, Orange Park, Tampa) Louisiana (Monroe, West Monroe, Delhi, Rayville, Winnsboro), Massachusetts (Abington, Allston, Bedford, Boston, Boston Seaport, South Boston, Braintree, Brighton, Burlington, Canton, Cohasset, Dedham, Easton, Framingham, Hanover, Hingham, Kingston, Lawrence, Malden, Marshfield, Martha’s Vineyard, Newtonville, Norton, Quincy, Somerville, Stoughton, Walpole, Waltham, Wakefield, Wellesley, Westford, Westwood and Wilmington), Michigan (Beverly Hills, Rochester Hills, West Bloomfield), Mississippi (New Albany, Tupelo, Oxford, Pontotoc), Missouri (Wildwood), New Jersey (Brick, Livingston, Somerville), Ohio (Liberty Township), Oklahoma (Edmond, Oklahoma City), Pennsylvania (Bloomsburg), South Carolina (Myrtle Beach, Pawleys Island), Texas (Bee Cave, Brownsville, Katy, Richmond). Additional locations are coming soon to Boston, MA, Piscataway, NJ, Latham, NY, Nashville, TN and Sugar Land, TX.